› Shape. Consciously capture others’ behavior. › Contacts. 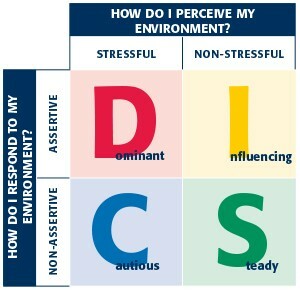 Analyze your personal behavior. › Personally. Steer your behavior in the desired direction. Profit from the classics of the Personality Model. The persolog Personality Factor Model is characterized by a situational approach. The pragmatic and action-oriented strategies are easy to remember and therefore highly efficient. Make use of diversity and flexibility. Leadership, sales & distribution, coaching, stress management and recruiting- these are only a few of the sectors our model covers. It can be applied in any area where behavior is of significance. There are more than 6,000 certified trainers worldwide. persolog has been present in Germany since 20 years. 90% of the DAX companies (companies listed on the German stock exchange) work with certified trainers of the persolog Personality Factor Model. Trust in the expertise of behavioral researchers. The persolog Personality Factor Model is based on the research results of Prof. John G. Geier and M.S. Dorothy Downey. Important approaches by reputable scientists such as Erich Fromm, Alfred Adler and Martin Fishbein were included in the development. Statistical studies in cooperation with the University Koblenz-Landau, Germany, prove high reliability as well as validity of the items of the persolog Personality Factor Model. The high success rate is also confirmed by our participants. Learn target-oriented methods in the certification seminar for the persolog Personality Factor Model. For certifications in English, please contact us!